The Persada Johor International Convention Centre’s design concepts was adopted to reflect historical elements of Johor as well as modern features with dominant qualities such as strength, integrity and functionality. 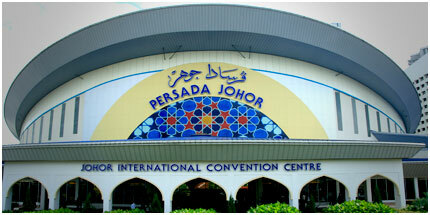 Developed and owned by Johor Corporation, The Persada Johor International Convention Centre is situated in the very heart of Johor Bahru, the capital of Johor. The site on which it stands was the former Johor Military force camp, and it was also the site of early remnants of Johor Bahru city. “Persada” is a word derived from the Malay language which means a place that has layers or steps for a member of the royalty to sit and conduct official matters; a stage where a contest is conducted; a garden for pleasure or to rest. 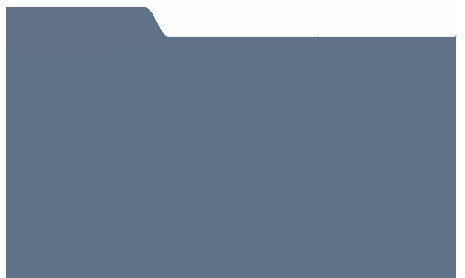 The centre will be hosting various trade and consumer shows, meeting, banquets, weddings and other special events. The architecture of the Persada Johor International Convention Centre is a clear acknowledgement of Johor's rich cultural heritage. The exterior is embellished with "Khat" Islamic writings, while its unique roof is shaped after the state ruler's official hat, a symbol of creativity, practicality and nobility. The architectural concept for the Persada Johor International Convention Centre draws its inspiration from historical elements of Johor and incorporates modern features so as to exude a sense of strength and integrity without compromising on functionality. It is designed to fill the critical need for an international standard Exhibition and Convention Centre in Johor and to advance Johor's progress into the 21st century. Appropriately, the word "Persada" is a Malay word denoting a place that has layers or steps for a member of the royalty to sit on to conduct official matters; or a stage where a contest is conducted; or a garden for pleasure or for rest. Persada Johor takes this concept to the next level by providing today's discerning event organisers and international clientele with a modern day venue packed with the latest technological advancements and a contemporary sophistication. Copyright © Persada Johor International Convention Centre. All Rights Reserved.